Huge crowd, extraordinary decoration, colourful stages, hundreds of cameras, and lighting all over! Ah! What was not there? 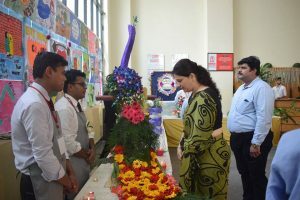 The 4-day extravaganza – UniversuMM has kicked off on Sept 27 with great fervour and enthusiasm. 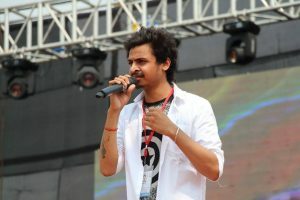 Right from the day one, scores of exciting events and visits of celebrities ensured immense pleasure of participants in the mega youth fest where procession, inauguration and DJ Night were the major attractions on the Day 1 while Battle of Bands, Fashion Show, Music and Dance Events stole the show on Day 2. Students from across the nation set the MM(DU) stage on fire with their heart throbbing and astonishing dance performances. 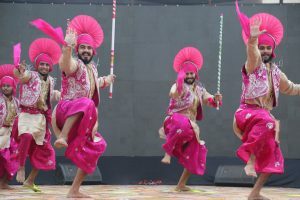 From Punjabi to Haryanvi, an array of folk dance performances won the hearts of both judges and audiences with their dancing sensation on Day 2. 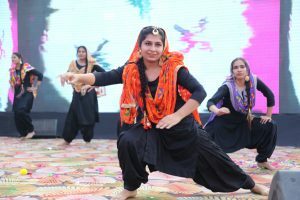 Young participants rocked the stage in all dance categories, including the Dance Idol, Folklore, and Virasat. 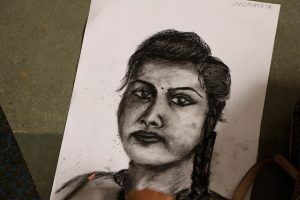 A perfect display of art and creativity has been witnessed on the second-day of UniversuMM at MM(DU) campus during various Fine Arts events, including Tattoo Designing, Charcoalism, and Vibgyor. In the Business events Cric Bid event engaged the attraction of many participants. The event was all about fund management and participants who were best at this grabbed the title of the winner. 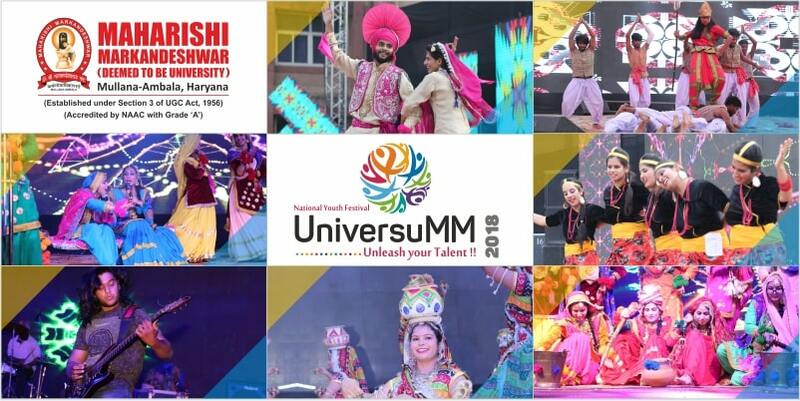 The magnificent indo-western musical blast by young performers and wordplay display by rappers spiced-up the UniversuMM stage with enriched musical experience. Words, emotions, actions, energy, and what not! 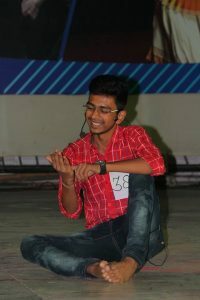 MM(DU) stage witnessed unmatched acting skills of participants in Skit and Mono Acting on day 2 of UniversuMM. Fashion events stole the show on the day 2 of UniversuMM Mega Fest. 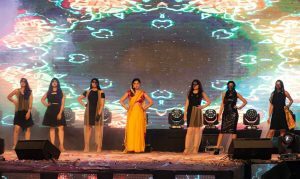 Dashing hunks and gorgeous gals presented their best postures while burning the stage with their ramp walk during fashion show. 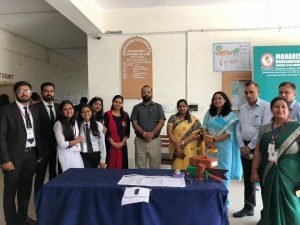 Participants from across the nation came through flying colors in various Literary events, including Hindi Elocution, English Elocution, Spellathon and Quiz. Youngsters were extremely clear and expressive while speaking on their topics. The day-2 witnessed a series of technical events, including Hackathon, Biograffiting, Paper Cable Contest, Code Crunchers, Brain Games and Cycle-o-Expert. 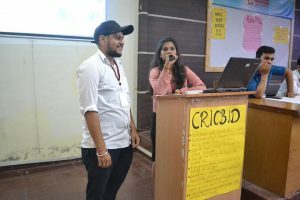 In some events, participants were given with real-world problem statements and judged on the basis of how they are coming out with the solutions using their coding skills. 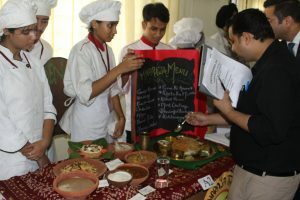 With lots of diversity and magnitude, participants showcased their astounding performance in various events like Flower Fantasize and Regional Master Chef Culinary Challenge. 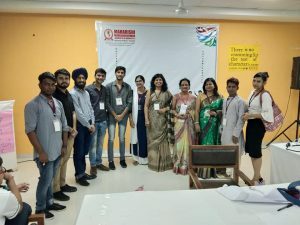 To test the medical IQ of the participants an array of medical event were organised that include Brainstorm and Gregory House MD on the second day of UniversuMM mega fest. Participants exhibited extremely healthy competitive spirit during the event. 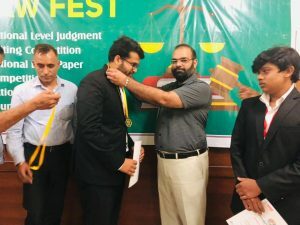 A National Level Paper Reading event was hosted as part of Law Events on Day 2. 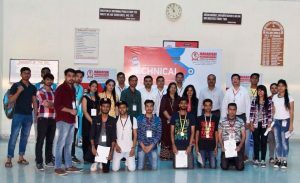 The competition was privy to various participants across India who have registered to battle it out and earn the coveted winners place. 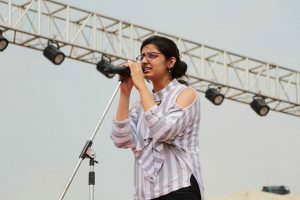 Both the bands rocked the stage and dazzled the audience with their spellbinding performance. With their incredible performance, the atmosphere inevitably heated up and compelled everyone there to tap and rock on the beats of magnificence. That’s all for the day 2. Don’t bid adieu, stay tuned to get more on UniversuMM 2018. Quality articles is crucial to attract the users to visit the site, that’s what this web page is providing.